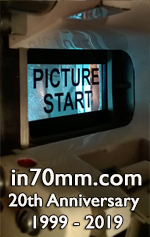 As every student should know, 70mm is still the best format for the presentation of the moving image invented, to date. 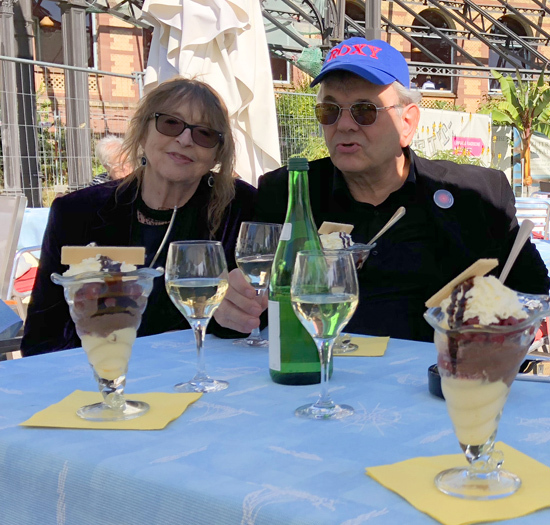 The finest festival for the celebration of this state of the art of motion pictures, takes place in the Schauburg Film Theatre, Karlsruhe, a university city in Germany; every autumn. Celebrants, who come from all over the world, are very well taken care of, and so come back year after year. Here is the only venue to see "2OO1: A Space Odyssey", as it should be seen, on the deeply curved Cinerama screen. Some of us saw it, dare I admit, all of fifty years ago and are still just as awed and impressed by it. This year, the much talked and written about Nolan print was screened, to great acclaim. A truly ravishing print of Kurosawa's masterpiece "Dersu Uzula", reminded delegates of the strong bonds of friendship that drew them together, from far and wide, to the Todd AO Festival. A real delight was the UFA production "Hauptmann Florian von der Mühle", as fresh as a daisy after a mere fifty years. Satire from the old east? I kid you not. Sovcolor or Orwo, or whatever it is called, forever! "West Side Story" still dazzled, with the agonies and ecstasies of the star crossed lovers transposed to mid twentieth century Manhatten. Jack Nicholson gave a career defining performance in "Hoffa", ably assisted and directed by Danny De Vito. The print was outstanding. For comic relief, we were treated to the Jacques Tati swansong "Play Time", an extraordinary insight into the modern times of fifty years ago. Fast forwarding to next year 2019, in the remote future, "Blade Runner" was presented in a desaturated print, which strangely enhanced the eerie sense of alienation and foreboding. As Sir Ridley Scott admitted, Douglas Trumbull deserved great credit for his rôle in creating one of the greatest dystopian visions in film history.